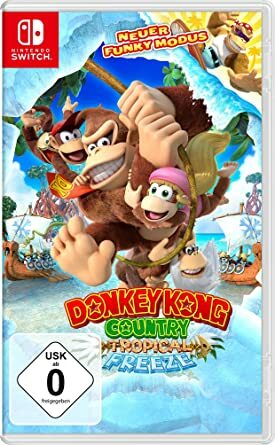 The mythical Donkey Kong stars in DKC: Tropical Freeze, an adventure videogame and 2D platforms in which he has to overcome different challenges and where some Vikings will make things very difficult after freezing the Island of Donkey Kong from end to end. Donkey Kong Country: Tropical Freeze has cooperative mode, HD graphics that allow us to observe details never before seen in a game of the series and guarantees the presence of levels where you have to swim, fly from liana to liana, jump and surf like this how to check each scenario for hidden objects. why do the links say 3ds? is this the NDP and they are just mislabeled?